After a criminal conviction, sometimes the only route to a favorable turn-around is through application of the law of habeas corpus. 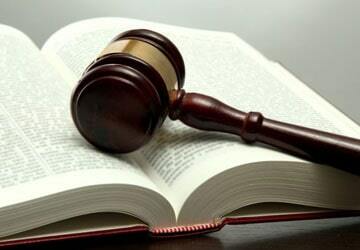 Habeas corpus is a civil court procedure by which a defense attorney argues that counsel in a previous trial was ineffective, or that something happened during the criminal defense process that was not Constitutional. To schedule a free initial consultation regarding the possibility of post conviction relief in Connecticut after federal criminal law proceedings yielded a negative outcome (conviction, prison sentence, jail time), contact the Law Office of Tina Sypek D'Amato in Bridgeport. Preparing for habeas corpus proceedings or appeals is a long and difficult process. A new lawyer has to take a case that has already been concluded, investigate and litigate it from scratch. It is often a challenge to obtain the necessary original documents, pleadings, or transcripts. Most criminal defense lawyers leave habeas corpus to others because of the challenges. Lawyer Tina Sypek D'Amato will evaluate your case. If the circumstances indicate that success is a possibility and the clients have the necessary commitment to see the case through to a new trial, Tina will prepare the presentation of your Writ of Habeas Corpus. To schedule a free initial consultation regarding habeas corpus and appeals in federal criminal law proceedings, contact the Law Office of Tina Sypek D'Amato in Bridgeport.